Transsion Holdings, a global conglomerate with a strong presence through itel and TECNO, announced a joint venture (JV) agreement with Spice Mobility, an Indian Business major across mobility space, to strengthen its foothold in the world’s fastest growing mobile market. The JV was inked today in the presence of Mr. Lin Qin, Vice-President, Transsion Holdings and Mr. Dilip Modi, Executive Chairman, Spice Mobility. In line with Transsion’s multi-brand strategy, the company marks the entry of its new brand in India, reinforcing its commitment to the India market, with an enhanced portfolio. This partnership aims to revitalize the ‘Spice brand’ by cross leveraging both organisations’ strengths to offer a simple, yet, an all-new powerful and rich digital experience to the young generation of India, which is a reflection of their individuality and keeps the collectivistic sentiment intact. The new Spice brand portfolio will offer stylishly designed devices catering to the needs of the Indian youth. Spice Brand unveiled its new brand identity and philosophy – “Make Sharing Better” with Spice. 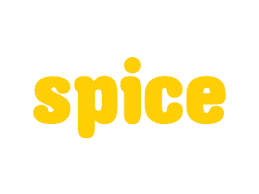 In line with the new brand identity, Spice Brand will enable the users’ to create and nurture the social connections by sharing content that is enjoyable for them. The philosophy “Make Sharing Better” with Spice embodies collectivism and promotes social cohesion & interdependence in the Indian society. Following these principles and such interdependence amongst families in India, ‘Sharing’ has become a cultural norm. The new Spice is all about enhancing the experience of joyful, carefree, energetic youth population who believe in sharing moments and individuality. In this connected world, Spice further will fuel the culture of ‘sharing’ to help build a rich social connect for the Indian youth. The product portfolio comes equipped with easy to use features that is designed especially to promote a superior digital exepreince, thereby making ‘sharing’ fun. The new distinctive logo denotes a youthful, vibrant, energetic and carefree brand. The identity is designed around the core values of the target audience – The ‘Youth’. The Purple is a very unique and vibrant color, which signifies the stability of Blue and the energy of Red. The color is also in line with our range of colourful and uniquely designed products. The font reflects the directness and at the same time, resonates with the old brand logo with the aim of being true and direct with the consumers. The uniqueness of color also talks about the unique offerings for the consumers. The rhythmic wave in the logo symbolizes dynamic relationship that the brand aims to establish with the carefree and joyful youth. Transsion Holdings, best known for its leading mobile brands including TECNO, itel and Infinix, is a diversified hi-tech group specializing in mobility solutions and present in 58 countries globally. Its brand portfolio also comprises Carlcare for after-sales services, Oraimo for mobile accessories as well as Syinix for home appliance. In addition, Transsion owns a mobile internet company Afmobi, which possesses a quick search website www.af1234.com, a news portal site www.helloAf.com, an APP store PalmPlay and an instant messaging tool Palmchat with over 150 million registered users（by June 2017）. Transsion has sold more than 246 million Dual-SIM mobile handsets globally and a market share of over 40% in Sub-Saharan African countries. In 2016, Transsion officially entered India with its brand itel, making brilliant achievements since its entry. In the same year, Transsion’s three mobile phone brands have been selected in Top 100 Most Admired Brands for African Consumers with TECNO ranked 14th, itel ranked 25th as well as Infinix ranked 37th. Spice Mobility is a digital technologies group focused on digital devices, services and platforms across Asia and Africa. Spice Group is passionate about transforming the lives of people through disruptive technologies and services and partnering with the best companies and talent. Being the first mobile operator in India in 1998, and having launched the first Indian brand of mobile devices in 2004, Spice group has been actively participating in the digital economy. Its other businesses include technology retail stores under the brand HotSpot, B2B ecommerce, Spice Digital and Spice Money. Spice Money is an exciting new foray of Spice Mobility, aimed at enabling financial inclusion for the under-served with its innovative technology solutions and business model. Spice Digital group is building new-age digital platforms for e-governance, fintech, enterprise, entertainment and telecom verticals.